Wish to run own Online Store! A daydream that many web entrants see in their daily life however, it may come true if you concentrate on such fundamental things that can turn your daydream into reality. Mere just having money and idea could not lead to a successful online store. To get success, you need to follow some strategic steps. Therefore, we talked to many experienced people who are doing well in their ecommerce site, we gathered systematic points that are necessary to count while making an online store. Here, is precise information that will guide newbie to start his online store. The completely online store needs three strategies such as Strategic business plan, technical strategy, and Online marketing strategy. Lets discuss in brief. Selling product is the base of your online store success and you should passionately believe in your product otherwise it would be difficult to connect your product with customers. 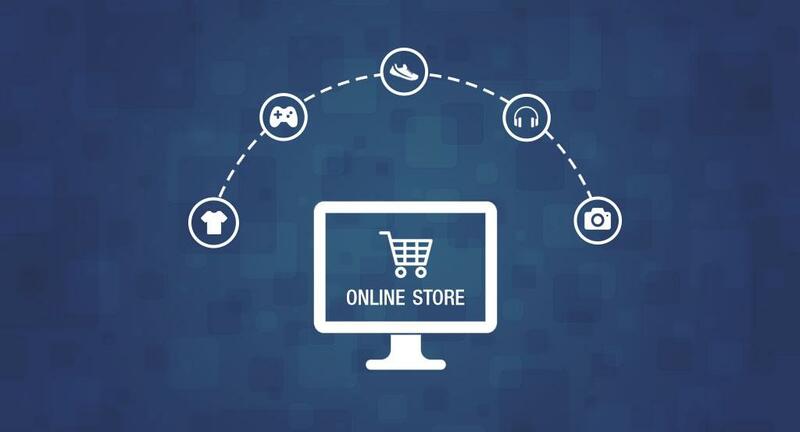 Making Decision about selling product is a vital and first step in online store. If you have not clear idea in your mind then it is better to do research on different companies to find the best product that suits your business idea. Do you want to sell multiple variety products or want to create your own product? If you want to make your own product then you should have good manufacturer. Choose your product according to its type as if physical product, inventory product, and digital product also consider its shipping assignment. Strategic business plan is a backbone of any business so before starting a business some essential details you should consider and implement as if product selection, product cost, tax layout varies from different country, shipping cost, other laws and agreements, employee salary and perks, domain and hosting fees etc. Sometimes it is required to arrange investors for starting your online store and on base of your fund; the whole operation cost should be decided. Whatever business you do requires proper marketing strategy. Marketing cost is also an integral part of your total business cost. After considering all the above things, the most important marketing strategy you should take into account. Every business comes under the jurisdiction of state and country and therefore, registration of business with suitable paperwork that includes your business real name, address, business type, starting date etc. The owner has to acquaint with state tax law and according to should file return timely. In online business, domain name is an identity that customers use to access your online store. Hence Domain name should be short, memorable, and striking that can make impact on visitors mind. Make sure your domain should reflect your product so customers or visitors can easily get idea about your business, which is a favorable point for your online sales. For example, if you are selling designed clothes then your domain name should reflect with “design wear” or something like that. Website hosting is a one of the crucial point for online store. For smooth running of your website, your hosting provider must provide full tech support, regular data backups, proper maintenance, and server with proper functionality, proper online security, and control panel. All these features are essential for you before selecting web-hosting provider. Website design is a reflection of your perception and appealing web design attracts visitors and turns them into buyers. Before you hire web Design Company to create website, you should have idea about your product presentation, type of design technology, website content, etc. make your website glossy, and simple so online shoppers can easily navigate the website. From product display to checkout option, everything includes in E-commerce development or shopping cart software. The software keeps customer data and financial information even it helps to send mails regarding offers as a part of marketing activity. There are many ecommerce softwares available in market at reduced prices that provides all-in-one tools ranging from inventory management to marketing tools. Instead of merchant account, many online stores use payment gateways due to easy implementation and set up. Payment gateways accept credit card data and further process the transaction in real time by deducting transaction cost and the rest balance deposits into customer’s account. Payment gateway includes transaction cost, monthly fee, and set up fee and make sure that payment gateway supports international currencies. A regular maintenance of your online store provides freshness and makes it interesting. Regular maintenance of an online store is must especially in case of product information to solve problems and issues raised. Update product price and images as they become applicable. Also check your payment gateways works normally. Consider customer’s feedback as it can improve any lacking in online store. Check for ongoing online protection to save you from hackers and online attacks. Remove any broken link or outdated information and update your store with current and upcoming price offers if any. To make your online store profitable, search engine optimization (SEO) is required that makes your site visible in front of visitors. SEO is an inevitable strategy for online marketing that can bring enormous traffic to your website. There are search engines like Google, Yahoo, and Bing who motivate SEO approach. Through SEO, your website will have higher ranking in search engine and for that, you should hire a SEO from reliable service provider. Every entrepreneur is moving towards social media, as it becomes a part of our life. Whether for chat, sharing, or marketing, social media is the best option to reach to mass of people. Facebook, Twitter, LinkedIn, Pinterest are some useful platforms where you can promote your online store. Make direct promotion of your product, discount offer on a Facebook fan page or twitter. Share news about your product, participate in product events, you can create loyal followers on social media. You can start blogging activity about product as an indirect marketing strategy and people will start to share your knowledge and will be aware about your product. You can even join community forums to engage with your current customers, and could take their feedback and suggestion to improve your product. Google Adwords or PPC (Pay-Per-Click) is a performance driven online marketing source that requires minimal investment and provides highest ROI. You only pay for PPC when potential buyers click on them and lead them to your online store. Google as a search engine also prefer PPC as a best marketing strategy compare to any other sources for online marketing. PPC brings more traffic to your website and when more buyers purchase from your shop; your sale figure also will increase in a coming time. Finally, running an online store is a dream project that newbie want to achieve in their life but without considering above things, you will fail to do so. We hope that these steps will enhance your knowledge and will help to achieve your dream into reality.